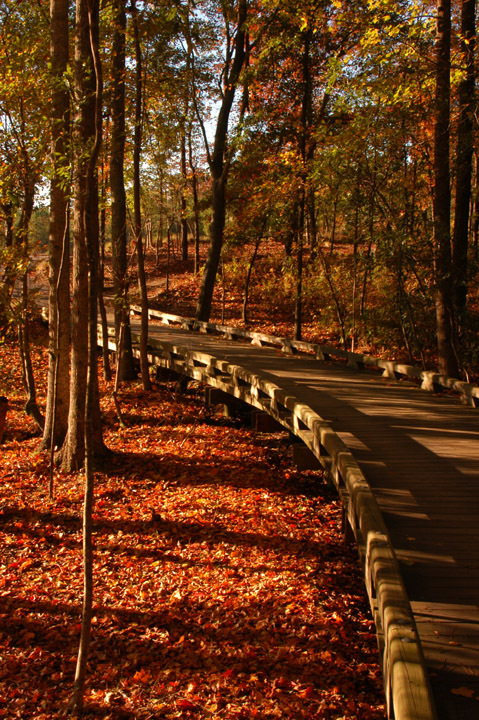 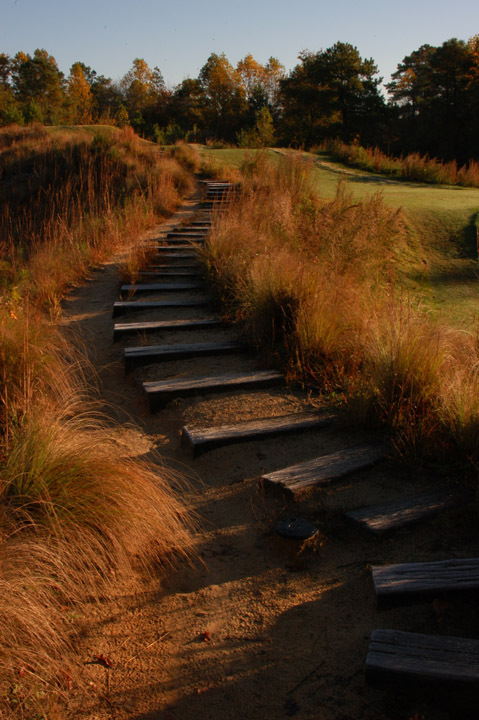 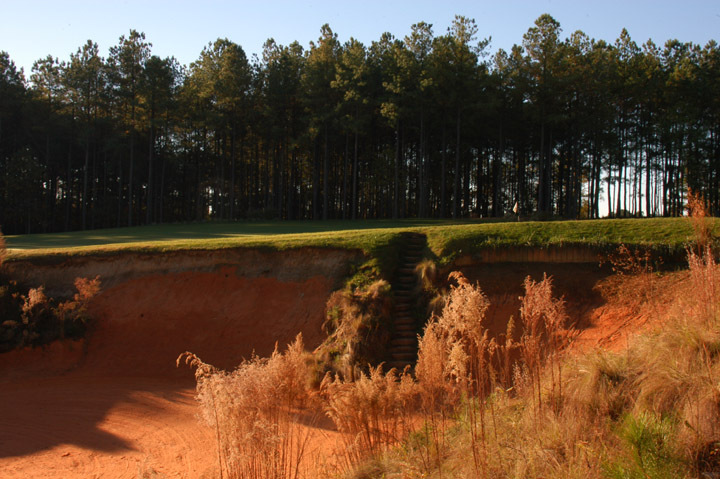 Caddie's Summary: The first response to Tobacco Road is "what the heck.." the next is "WOW". 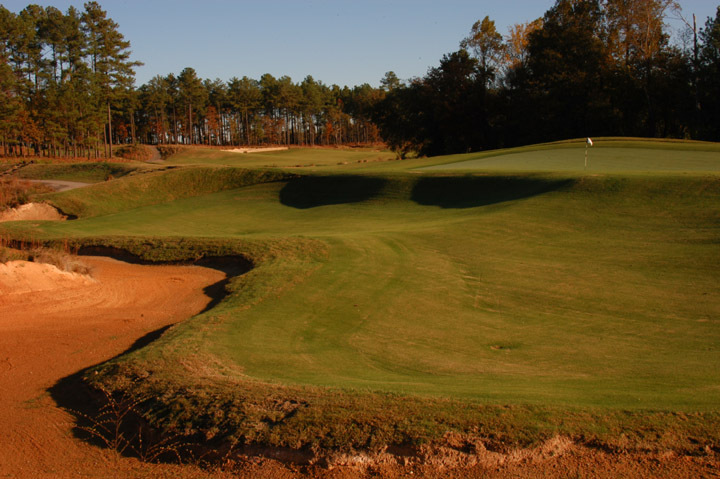 This rolling, cutting, jagged golf course in North Carolina is as unique as any in the United States. 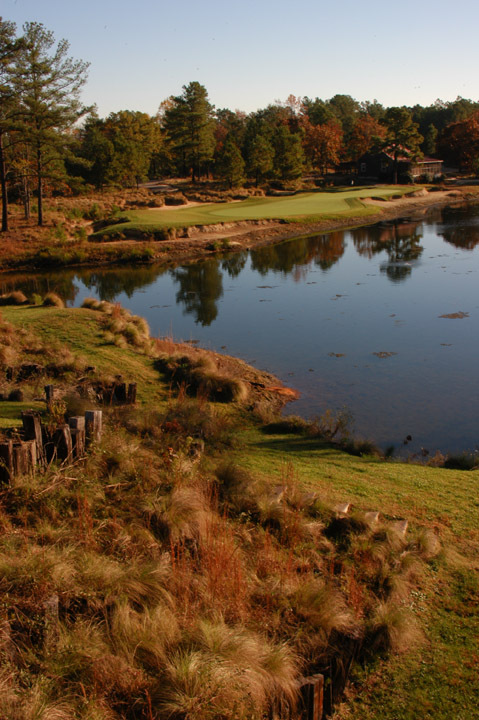 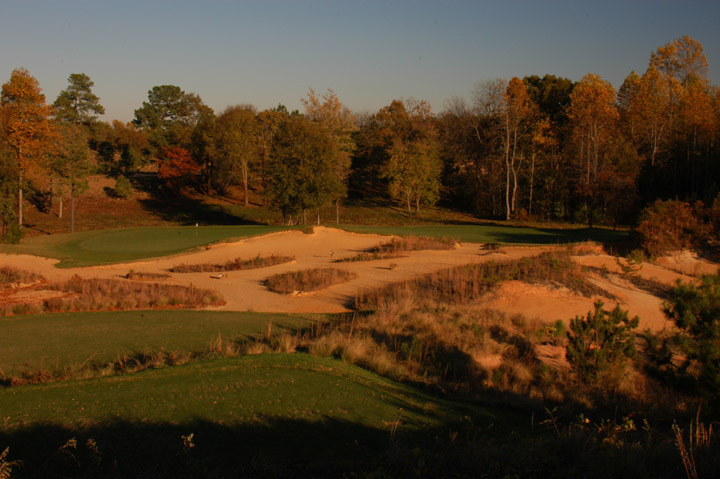 Strantz won a "GOLF Course Designer Of The Year" award in 1998 for works like this, and his use of natural landscape is outstanding. 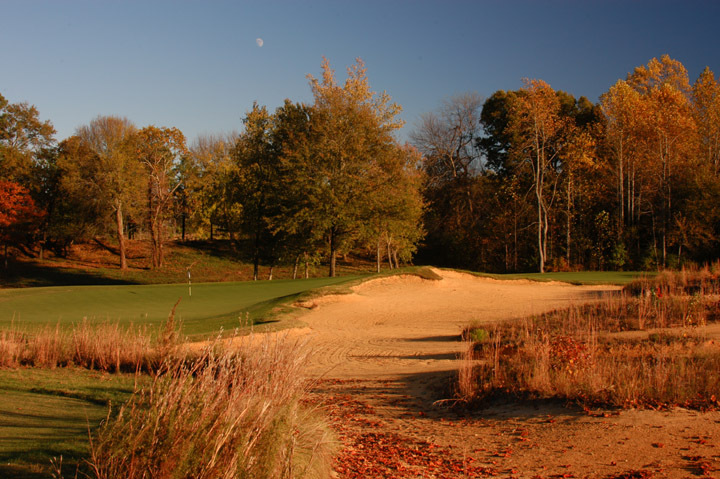 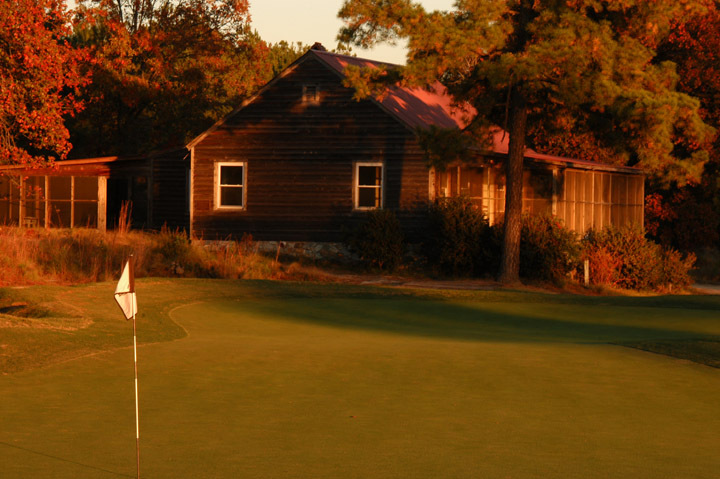 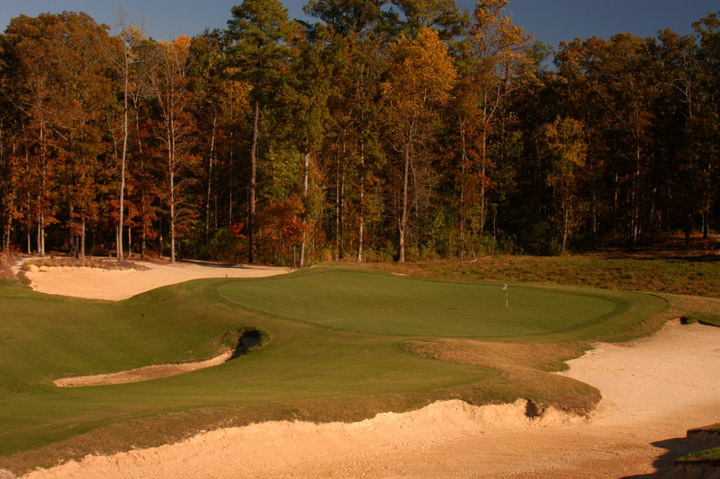 Play the proper tees on this course and be prepared to loose a few golf balls in the thick brushes and woods, and you will thoroughly enjoy this amazing golf course. 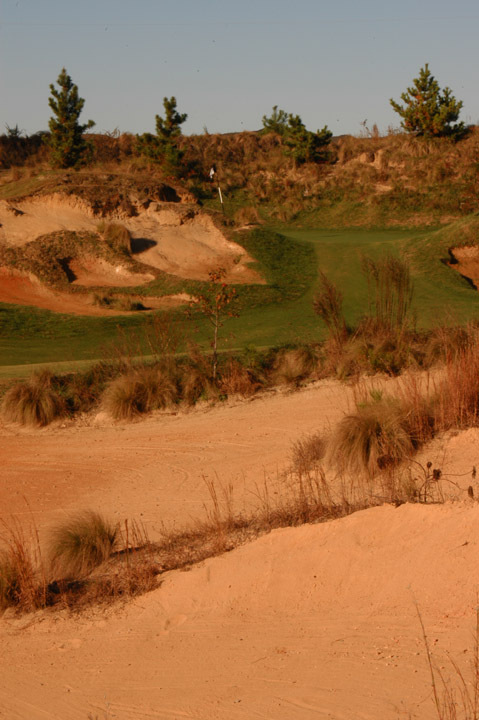 Waste bunkers and scrub brush are used as well as any course in the South East and greens are extremely undulating. 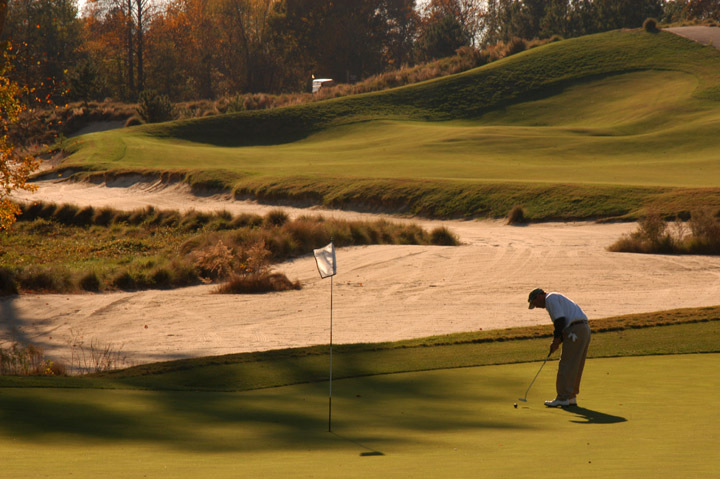 At least seven approach shots in the round are "blind" and into very shallow (sometimes only 15yd deep) and often very wide (a couple stretch from 30-65yd wide) greens. 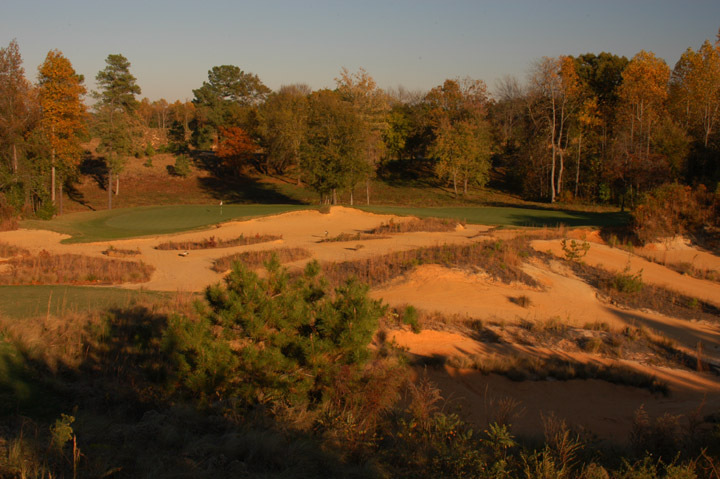 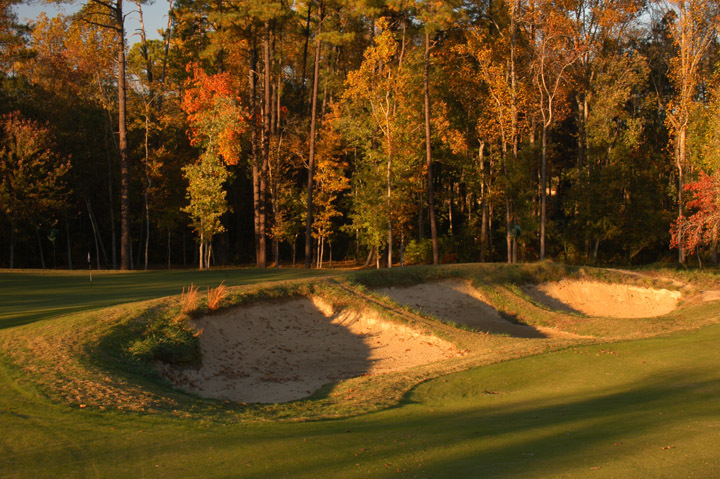 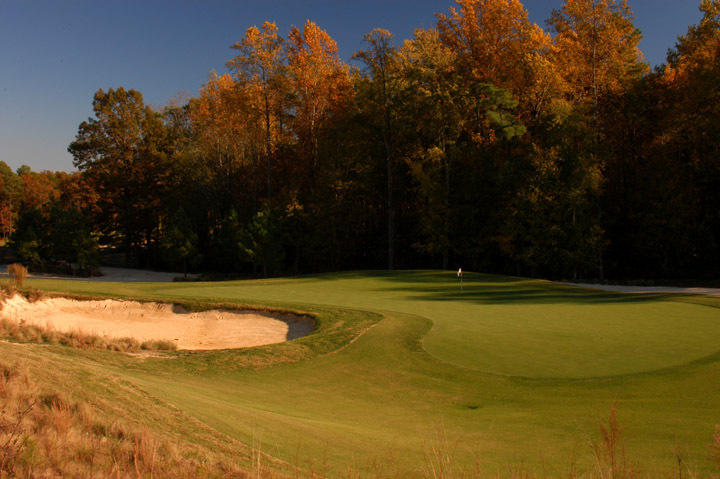 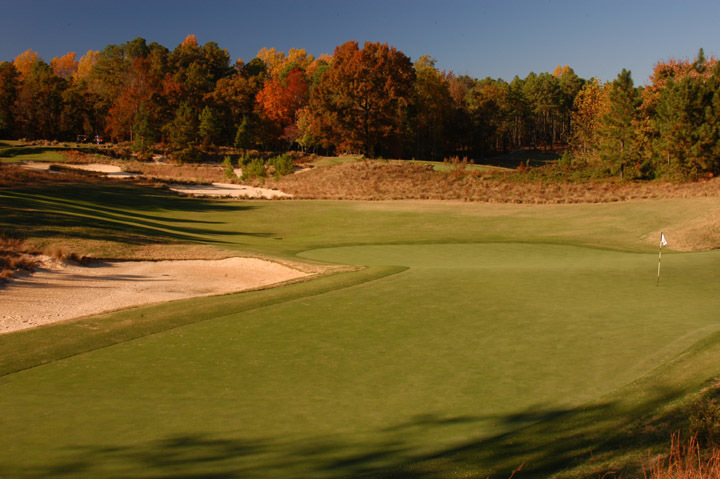 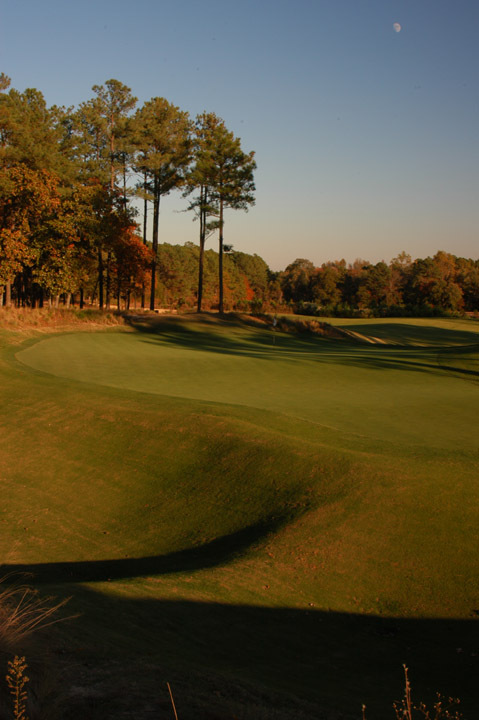 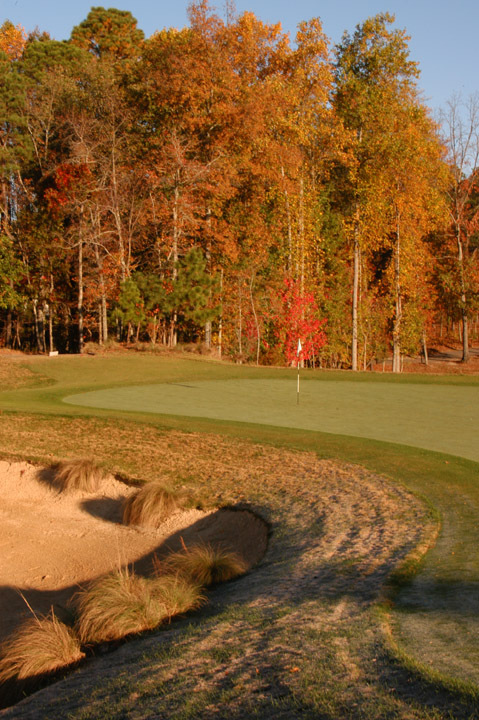 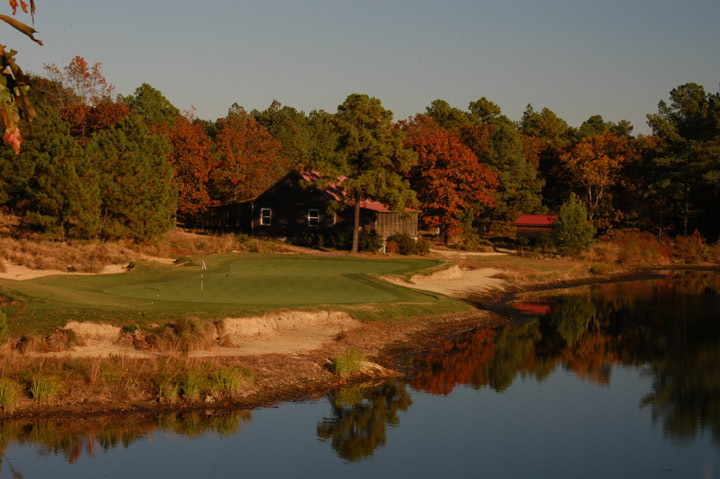 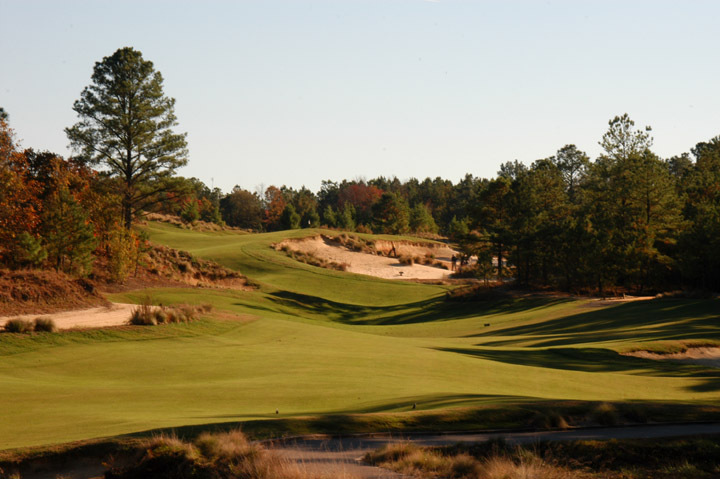 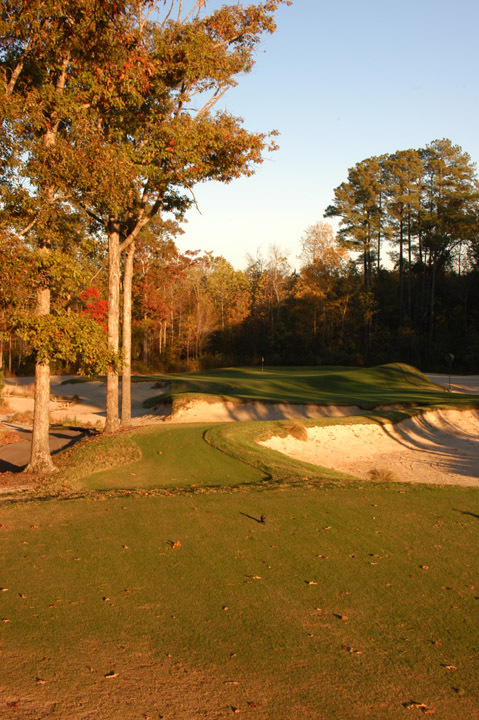 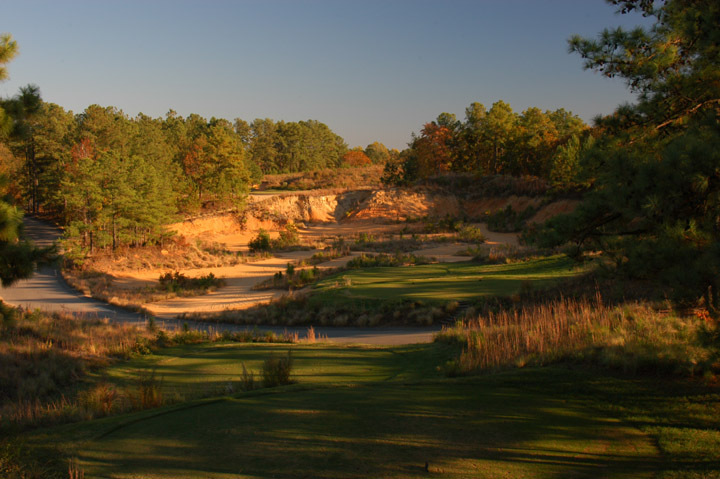 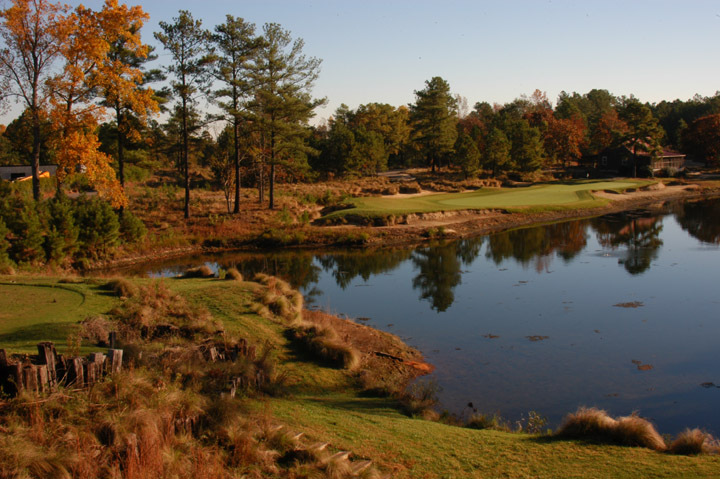 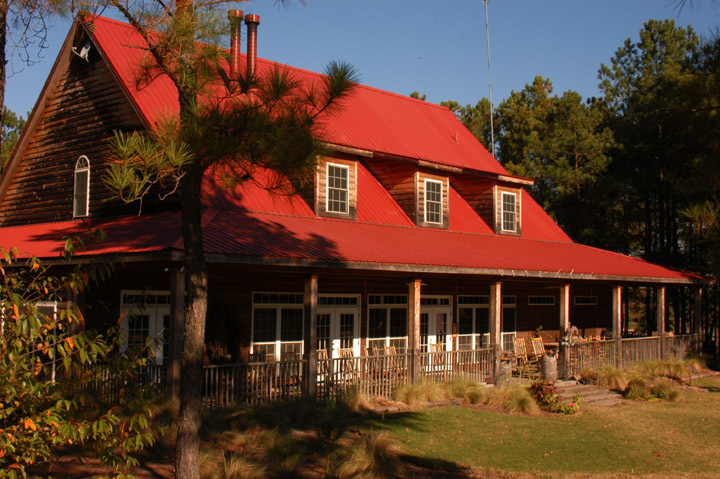 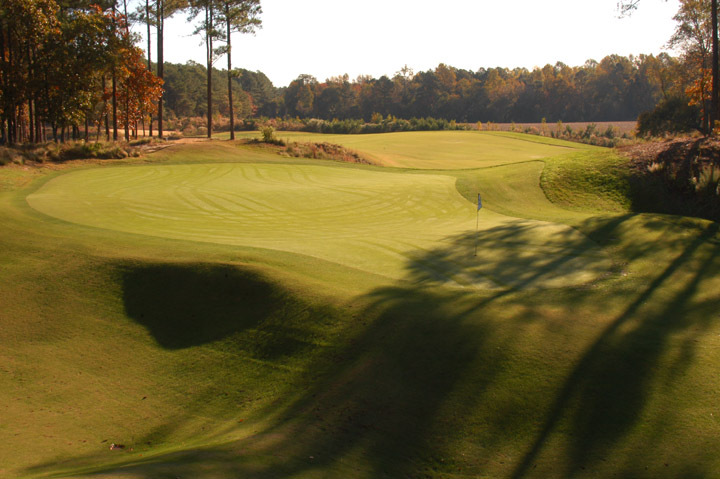 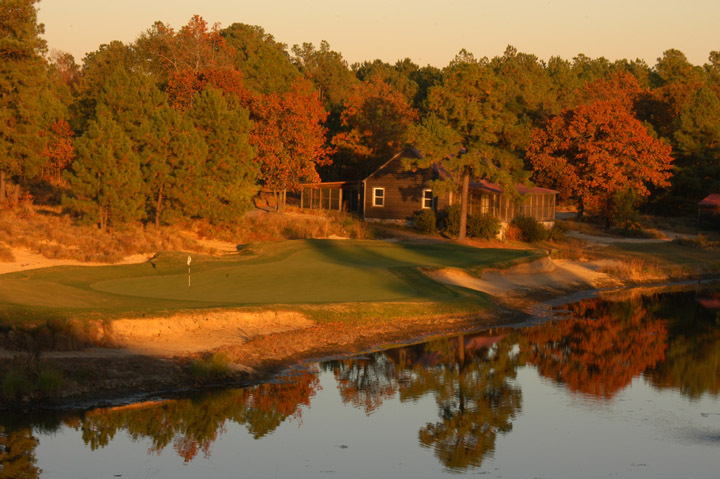 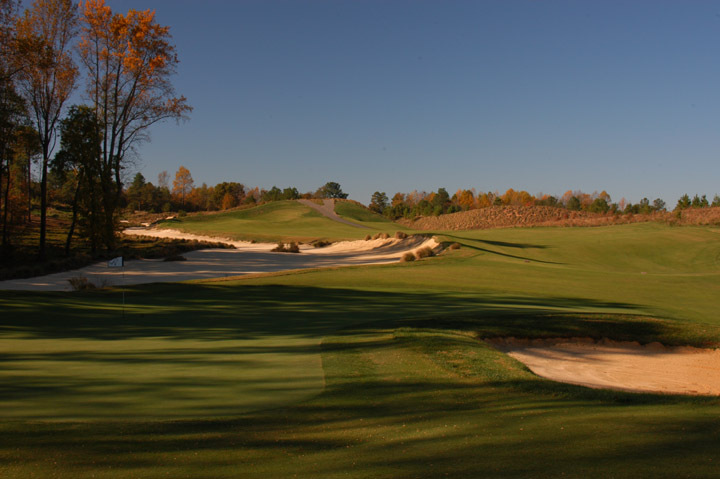 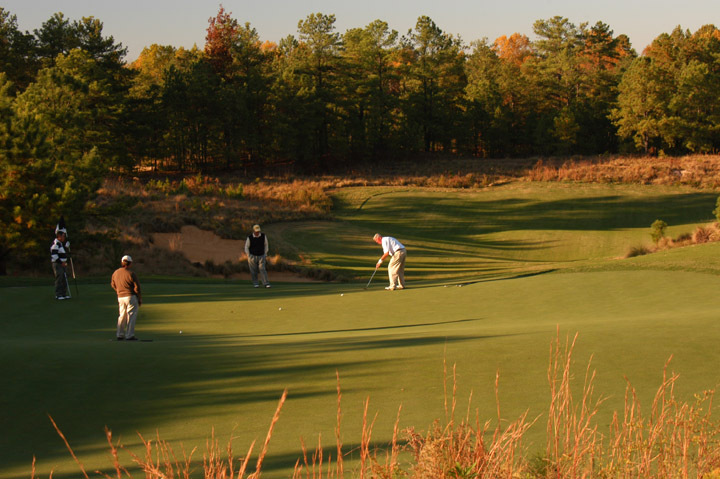 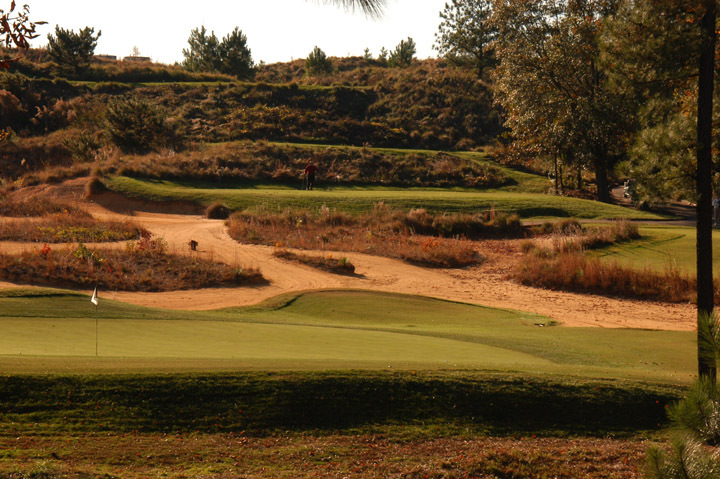 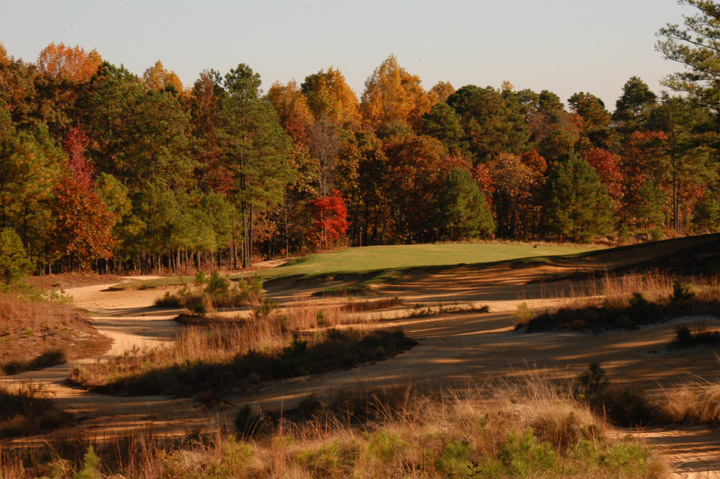 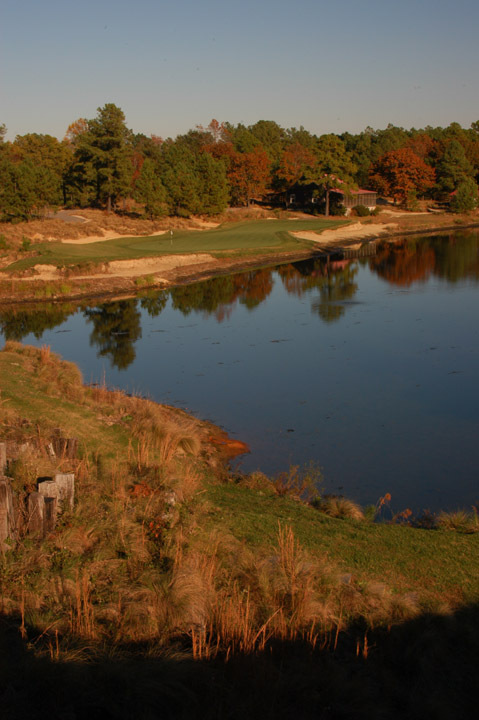 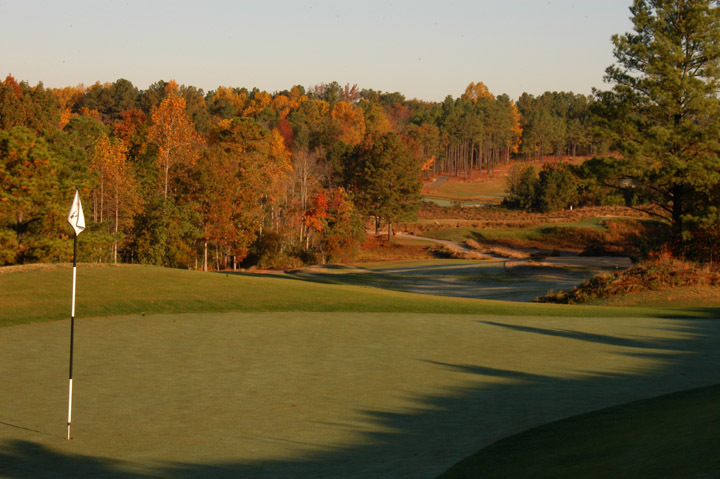 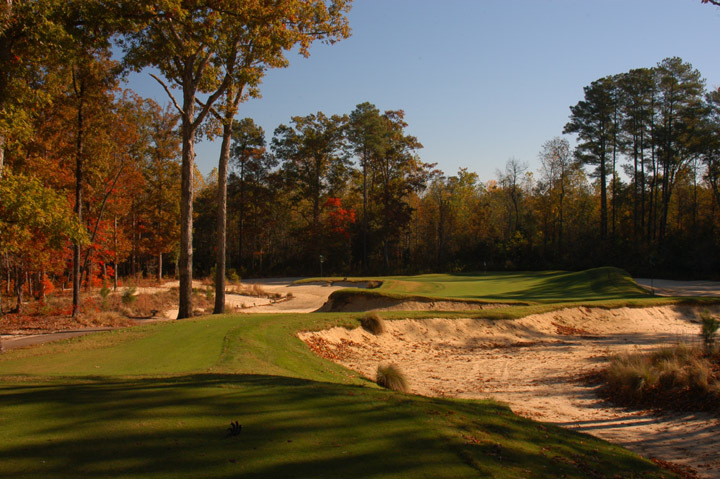 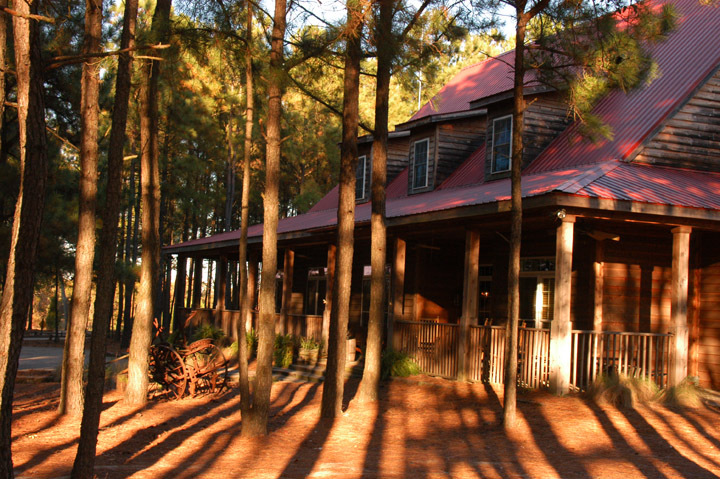 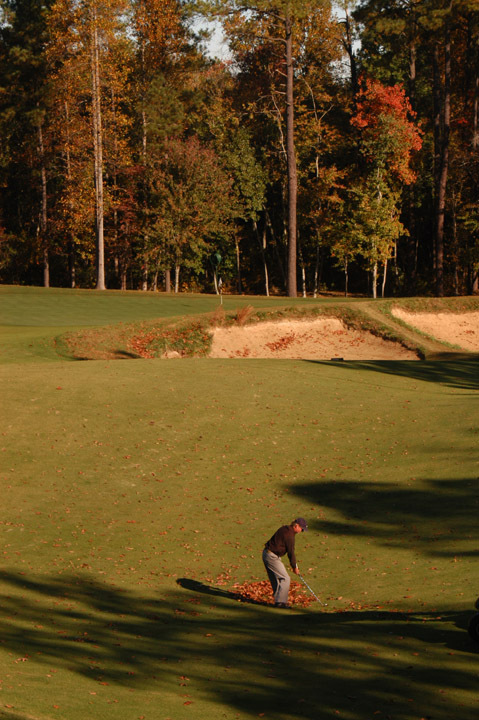 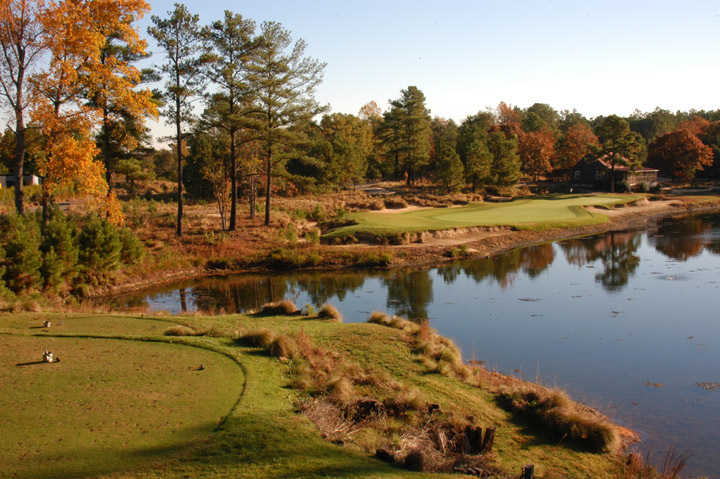 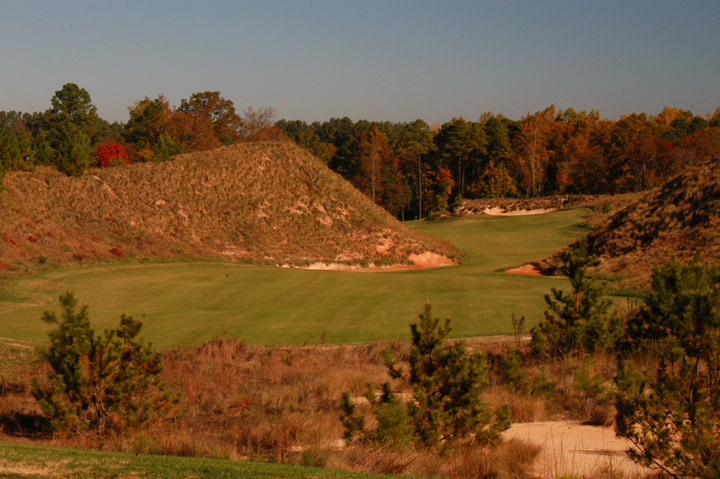 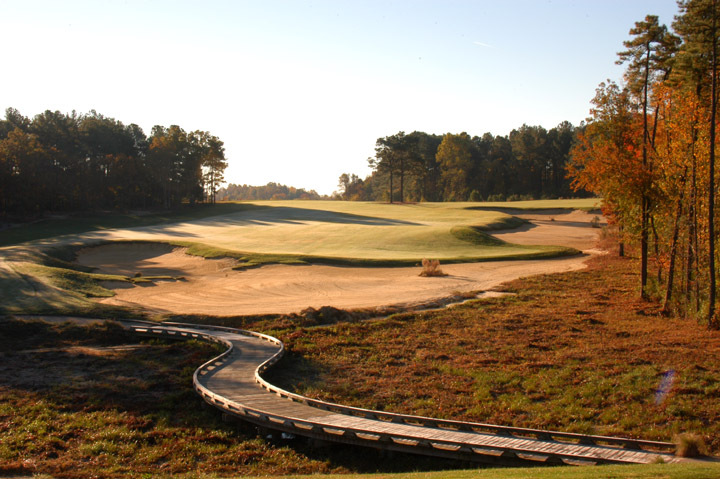 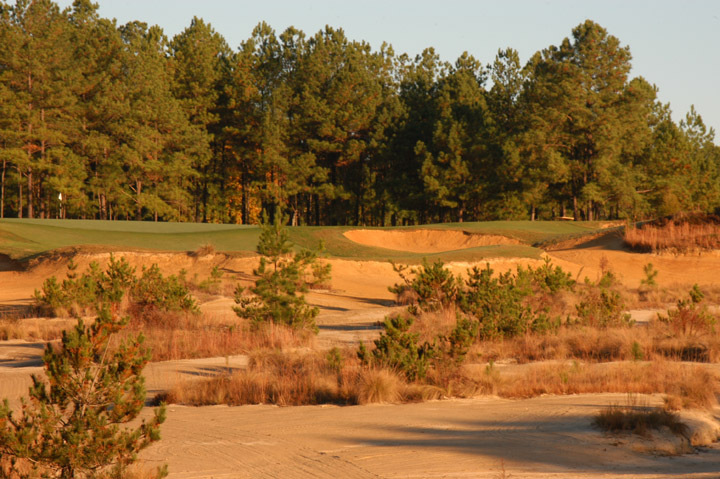 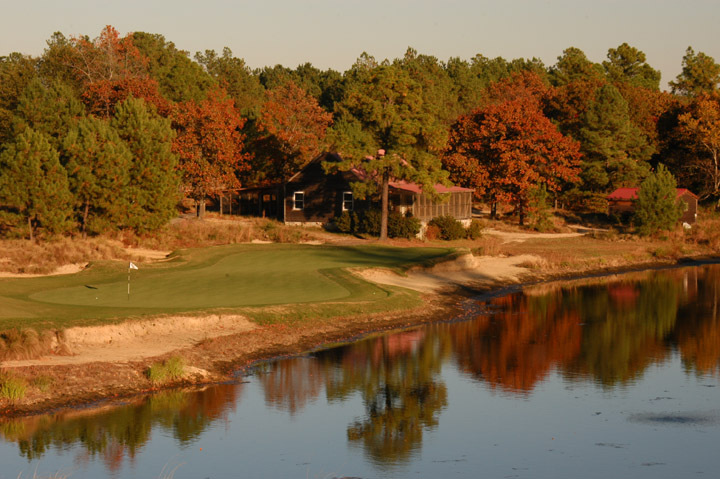 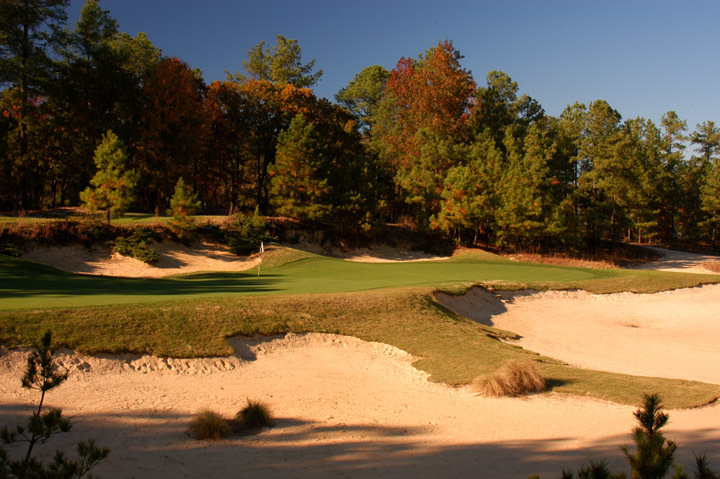 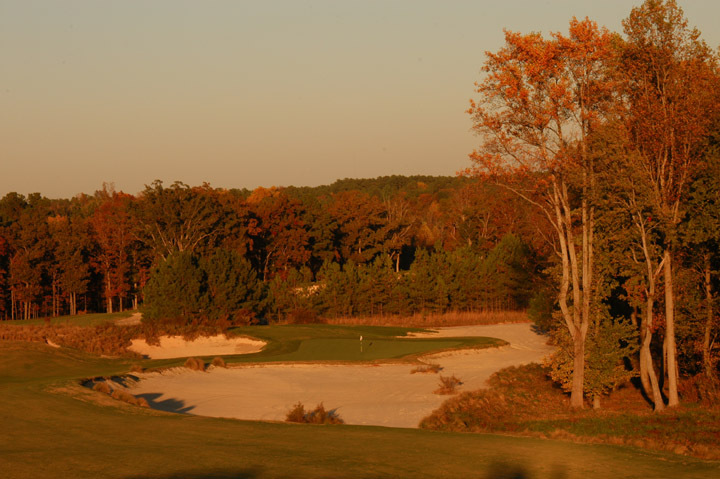 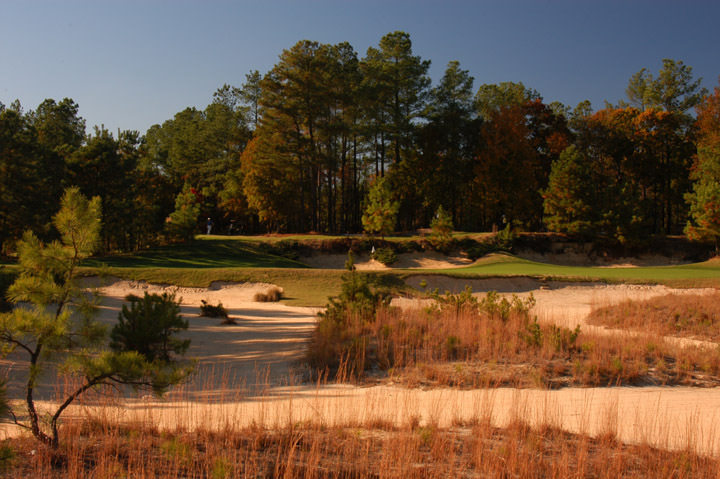 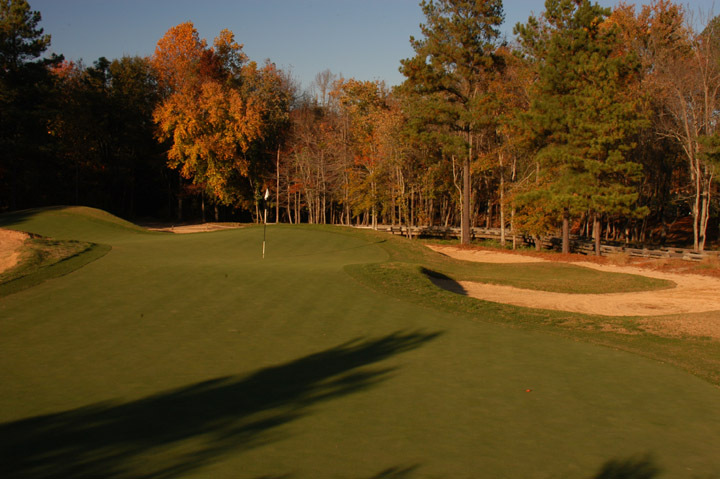 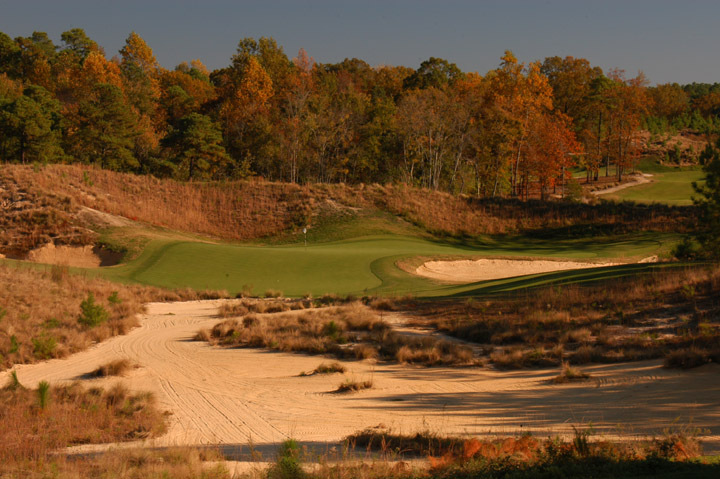 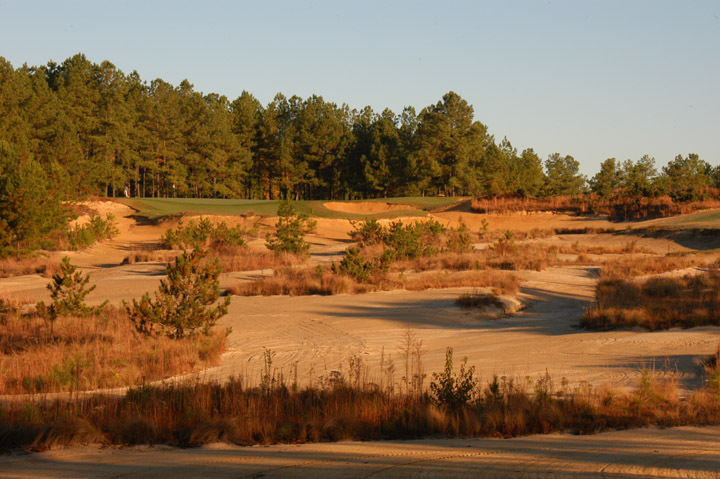 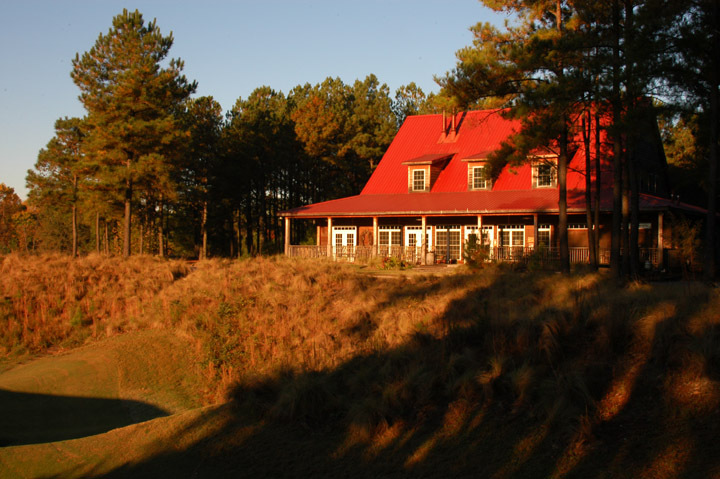 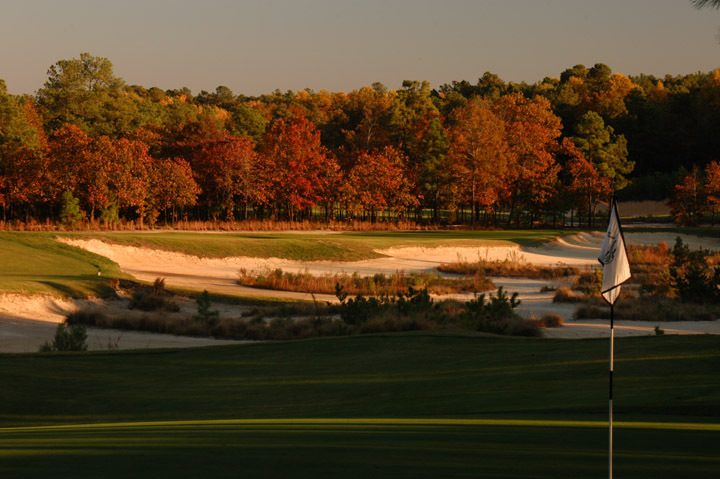 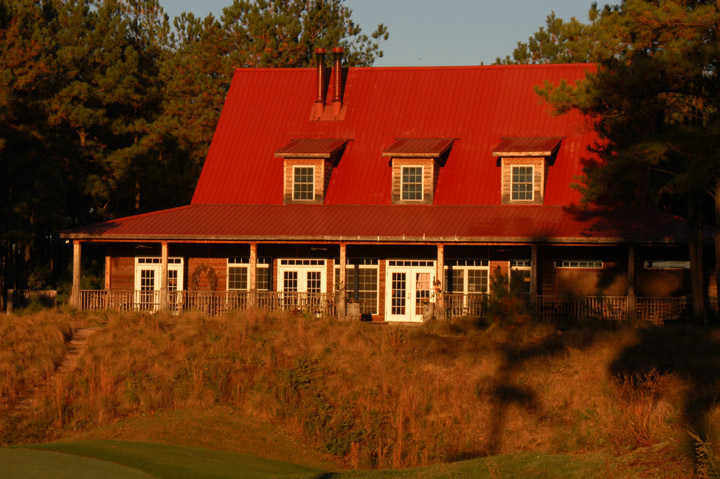 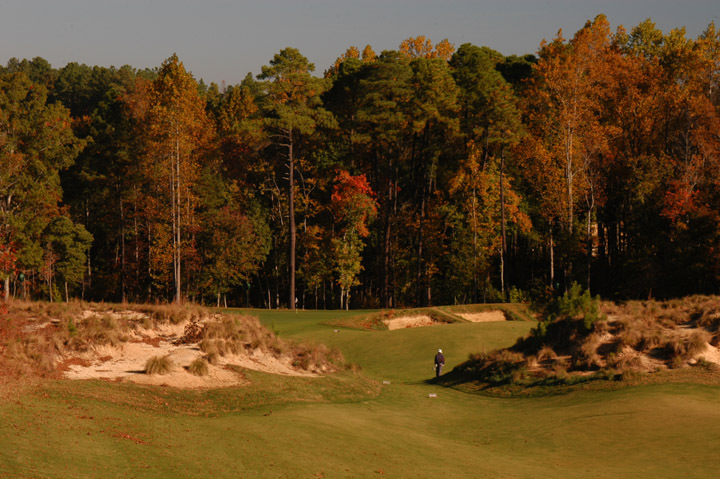 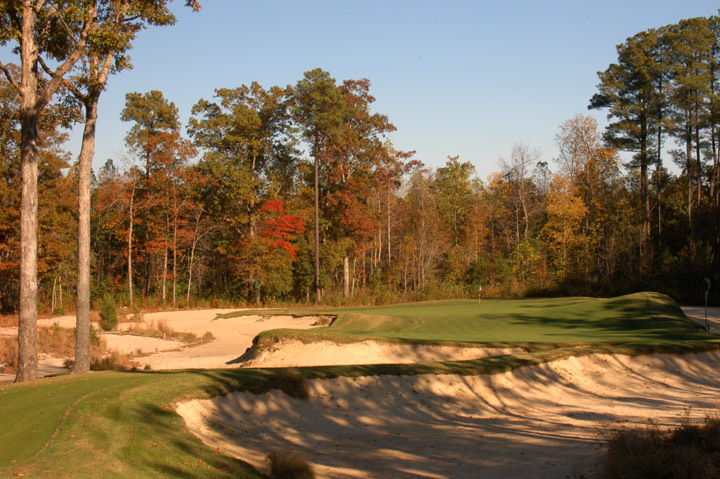 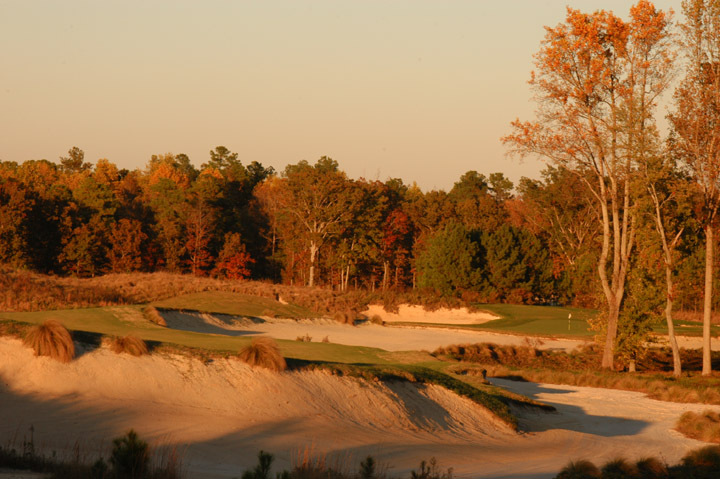 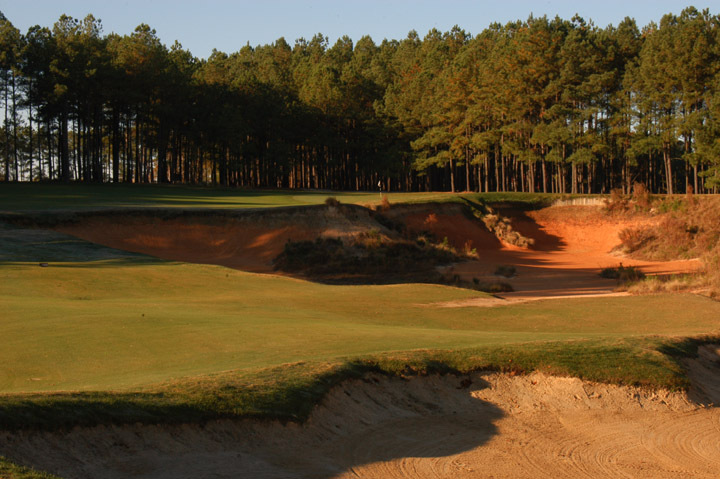 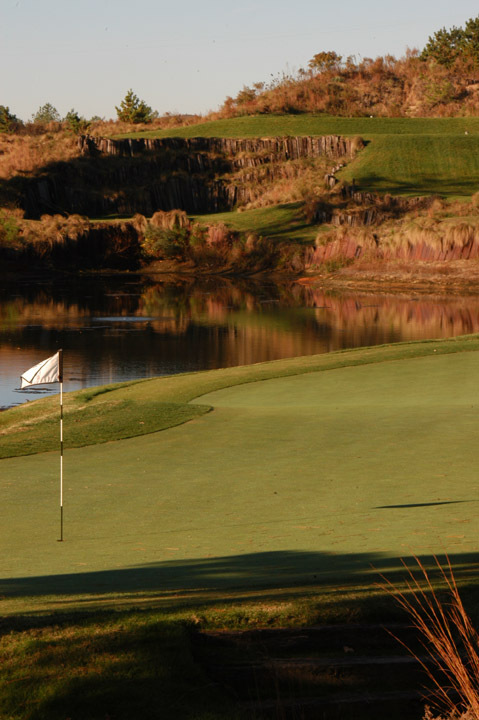 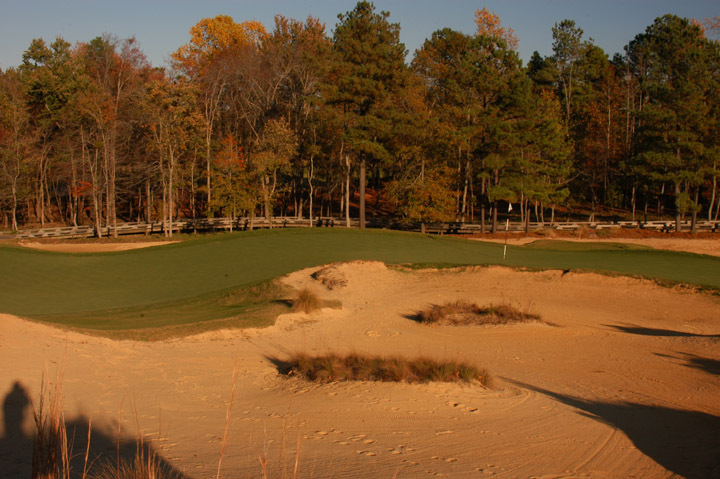 If anywhere within a couple hours drive of this North Carolina golf course, make the time to play this masterpiece.